Millions of Americans toss and turn every night, watching aimlessly as the hours slip away until morning arrives and they are as exhausted, sometimes more, than when they went to bed. Insomnia has reached epidemic proportions in many developed countries where people are busy, stress is common and ample rest is not as well respected as it should be. According to the National Sleep Foundation, sleep is as essential as food and water for health and survival. According to the foundation‘s sleep chart, adults between the ages of 26-64 need seven to nine hours of sleep each night, while those over 65 need seven to eight hours. If you aren’t getting the recommended amount of sleep each night, it is likely that your well being is suffering in one way or another. There are a number of negative side effects to not getting enough sleep. What Are The Dangers Of Lack of Sleep? Getting sick more often: Sleep and your immune system are inextricably tied together. If you go for long enough without proper sleep, your immune system suffers and it is hard for you to fight off even a common cold. A compromised immune system can lead to a number of serious health conditions. Cognitive impairment: You need sleep to think well, hands down. Without adequate sleep, your brain runs on sluggish mode and you may become forgetful and have problems with even the simplest of mind tasks such as paying attention while reading or listening. Researchers have found that even skipping the equivalent of one night’s sleep can seriously hinder performance. You may gain weight: Even if you eat right and exercise, a lack of sleep can contribute to a slow metabolism and increased weight gain. According to a study using 21,469 people, participants who slept less than five hours on average during the 3 year study period, were more likely to gain weight and become obese compared to those who slept seven to eight hours. Increased risk of diabetes: Proper blood sugar regulation is dependent on you getting the right amount of sleep. According to more than ten studies, people who are sleep deprived are at a greater risk of developing Type II diabetes when compared to those who sleep enough. Although it may be tempting to reach for over the counter “fixes” for your sleep problems, it is important to remember that these only mask the problem and can be highly addictive while carrying a host of side effects. It is important not to let yourself get this desperate for sleep. Being aware that you have a problem is a great first step. It is always best to consider natural, non-toxic solutions to help ease your sleep deprivation issues. Here are a few things you can try. It may be that a combination of these natural remedies works best for you. It is a matter of trial and error, until you find just the right combination. Don’t take your phone to bed: Millions of people go to bed with their tablet, computer or even phone in hand. Research has demonstrated that looking at your phone while trying to fall asleep can actually activate arousal neurons and disrupt melatonin. The light from electronic screens is one very negative impact of the technological age. Listen to soothing music: Quiet music is soothing and can often help you fall asleep. Invest in some good headphones and download some of your favorite quiet music. You may want to try just instrumental so that you don’t find yourself focusing on the words but rather allowing the music to quiet your mind. Take a warm bath: There is just something oh so relaxing about a warm bath. Even more relaxing is a warm bath with Epsom salts in a dimly lit room. Stress drains the body of magnesium and Epsom salts are rich in this very important mineral. When the salts are dissolved in warm water, the magnesium is absorbed through the skin and can help replenish supplies. Magnesium helps to promote rest and relaxation while improving quality of sleep and concentration. Try yoga: Yoga is an ancient art that people have been using for thousands of years to promote relaxation, improve focus and increase flexibility. Simple stretches like arm and neck rolls can help you unwind before bed. Many easy stretches can be done right on your bed. Combining any or all of the above with the use of essential oils can be a highly effective way to promote sound sleep. The practice of using essential oils for rest and relaxation is nothing knew and spans across many cultures. There are a number of well-known essential oils that, when used correctly, can help promote a restful night’s sleep. The key to essential oils is to be sure that you are choosing only high-quality oils and that you know how to properly administer them. In addition, it is important to realize that what works well for one person may or may not work well for you – we are all unique and process things a bit differently. This all time favorite plant from the mint family, produces one of the most popular forms of essential oils. Lavender is known for its sleep inducing properties, backed up by scientific research. Effective ways to use lavender essential oil include; bath salts, massage oils, candles, sachets, sleep masks, pillow spray and even a lavender infused bed pillow. This essential oil has a very light floral aroma and is known for its relaxation properties. A few ways to reap the benefits of this ancient oil include using in a diffuser or apply a couple of drops diluted in a carrier oil to the bottom of your feet before bed. You can also add a few drops to your favorite shampoo, conditioner or skin moisturizer. 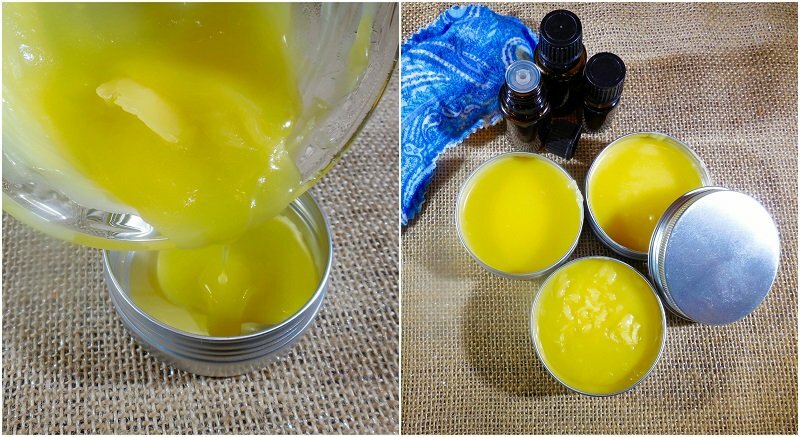 Make your own calming salve by mixing ¼ cup organic coconut oil with ¼ cup beeswax and heat until well mixed. While the mixture is cooling, add 15 drops of roman chamomile and 15 drops of lavender oils. Besides being a powerful anti-inflammatory, expectorant and antiseptic, cedarwood is also relaxing, calming and comforting. It’s warm and woodsy aroma just makes you feel like snuggling up with a cup of tea and your favorite book. Use in your diffuser or Cedarwood stimulates the pineal gland which releases melatonin – necessary for sleep regulation. Place a couple of drops diluted in a carrier oil on your forehead, on the underside of your wrists and where your neck and head meet. If you toss and turn at night because of stress, orange essential oil may help to reduce your anxiety so you can sleep. All citrus oils have uplifting properties that also help with depression. It is important to note that citrus oils may cause photo sensitivity when exposed to light within 12 hours of use. For this reason, it is best to use at night if you are going to put the oil on your skin. Place a couple of drops diluted in a carrier oil on your abdomen, use in a diffuser or make a soothing skin cream by mixing ½ cup coconut oil with 15 drops orange oil. Moisturize your skin before bed to promote a restful night’s sleep. Quite possibly one of the most commonly used oils for sleep, valerian can help you fall asleep faster and stay asleep. This oil has a calming and grounding effect and can be used topically, applied to the bottom of your feet or inside of your wrists. Disclaimer: Remember to check with a qualified practitioner before using essential oils,. It is always a good idea to test them out first to be sure that you are not allergic. Always buy high quality oils for best results.